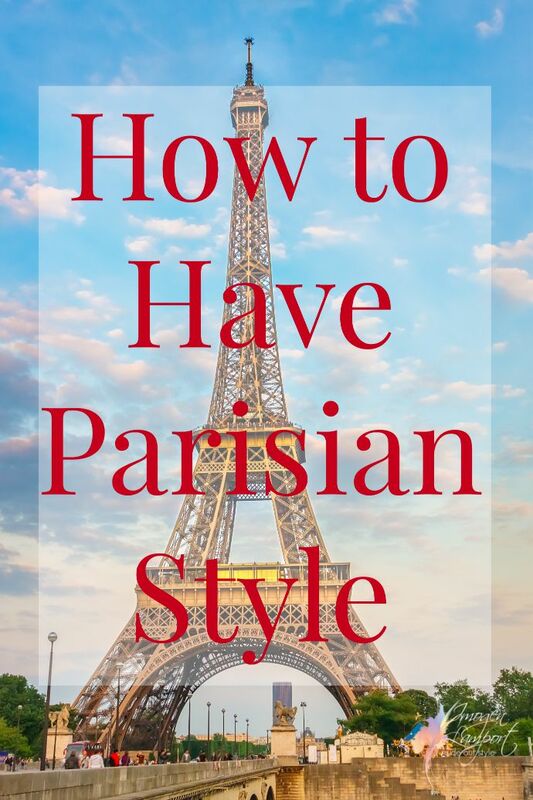 Parisian chic is loved by many and I have been asked how to have this French chic style if you haven’t got the slim Parisian body. According to the book Parisian Chic: A Style Guide by Ines de la Fressange where she shares lots of tips and I do love her Fashion Faux Pas when you’re over 50 which includes: Overdoing the preppy cliches a la traditional pearl necklace and earrings (can look twee), big clip-on earrings (wear a necklaces or brooch instead if you don’t have pierced ears), neon colours (yes they’re back in the stores, but will wear you rather than you wear them), and not to forget mini-skirts and hot pants (mutton dressed as lamb is a French no-no…. or should I say non-non!). So how do you create Parisian style in your wardrobe? Well it doesn’t come down to size, yes if you have a waist, put a belt on it, but if you don’t there are many styles that you can sport that don’t highlight your waist. I love a single-breasted trench coat belted to the back on an H, V and O shape. Blazers that have waist shaping without defined waist detail will also work fabulously on you. 1. Keep it simple, Parisian style is never fussy or overdone. 2. Don’t forget to accessorize – it may be simple, but not boring. A high quality leather belt, some statement jewellery, a fabulous handbag, interesting ballet flat. Go for one statement piece, think Jackie Onassis in her oversized sunglasses. 3. Groom, groom, groom – do your hair, get a great cut that works with your features and is easy to maintain, look after your skin, wear light, natural looking makeup. Don’t leave the house without a minimum standard of grooming, imagine that each time you leave the house you may bump into someone you want to impress, so dress in a way that would make yourself proud. 4. Go for quality over quantity. Parisian apartments tend to be small with little wardrobe space, so each piece in your wardrobe needs to earn its place because it’s so fabulous and you love it. Get rid of – ho hum, it’ll do, or the not-naked clothes that you own. 5. Base your wardrobe around neutrals like navy or camel then find an accent colour such as red or purple to add excitement. 6. Have your clothes tailored to fit. Garments that fit you as if they were made for you (couture) rather than you trying to fit yourself into something off-the-rack always look more stylish and expensive. 7. Mix High and Low. Buy the best quality trousers, shoes and coats you can afford, and mix them back with cheaper jersey and some fabulous costume jewellery. 8. Avoid clothing and accessories that your 16yo daughter would wear, or the things you wore at 16 (from hair scrunchies to t-shirts with messages, from backpacks and fanny-packs to anything that exposes your mid-riff). 9. Avoid wardrobe orphans, only buy a garment if it works with an existing wardrobe capsule or as the basis for one that you’re specifically creating. 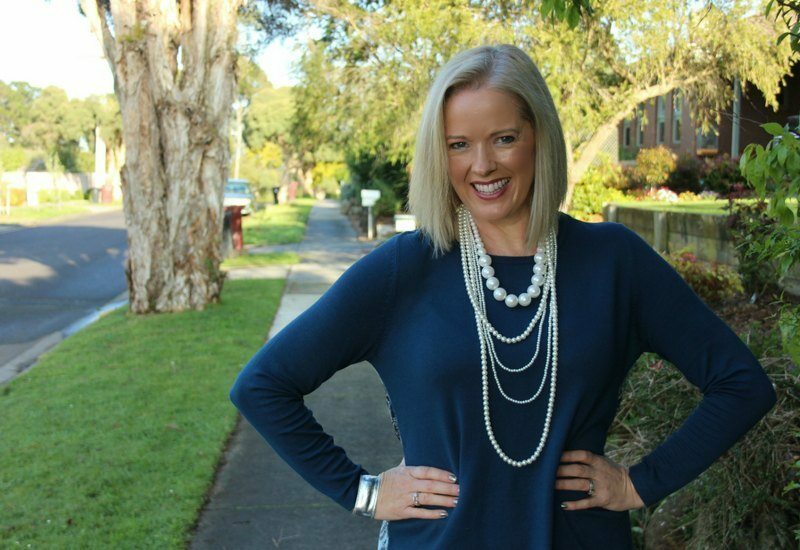 If you’re not sure about what a capsule is, download my free ebook 5 Step Formula for a Fabulous Wardrobe on a Budget which has instructions on how to put them together. 10. Don’t get stuck in a time warp. If you were matching shoes and handbags 10 or 20 years ago, it’s time to start breaking them up and modernizing your style. Look around at current trends and bring in elements that suit your personality, colouring and body to keep your style fresh. 11. Sports clothes are for doing sport, not for grocery shopping, or picking the kids up at school. Sneakers are not the shoes of choice to pair with your jeans. 4. Jersey top (tanks, t-shirts, long and short-sleeve). 6. LDD (a simple dark dress in a great dark colour that suits you that you can dress up or down). Next articleHow Long Should Jacket Sleeve Lengths Be? Yes, quality over quantity. I think you summed it up. I have just signed up for the mini-course, A Year Without Shopping. However, my problem is quality over-shopping as quality comes with a price tag. Three items can cost SO much and my knees are shaking at the thought of my next Neiman Marcus bill. I need to find a way to acquire quality pieces in a way that does not break the bank. Putting an outfit together is not a problem and I use my clothes, but Italian made boots that will last also come with $$$$$$ price tag. I try and purchase a three or four non sale items at the beginning of each season. Then I wait until the end to pick up essentials. Thanks Lisa! – Maybe you should set yourself a budget, then a savings plan, so when it comes to the start of the season you know you have the money put aside already! Have you tried thrifting/ Ebay/ organising swaps with your friends for designer goods? Wonderful post with concrete examples of how to build a strong and timeless look and wardrobe! Thank you for taking the time to break down the proper elements and highlighting former articles to pull it all together. After at few years of actively reading and thinking about my clothing I still struggle. I feel like there’s too many things to balance and get right -aside from the “big three”: colour, style, fit (plus size petite so I sew almost everything myself), there are other things like little kids who pull necklaces and break them, comfort and practicality when actually most of my time is at home doing housework. Mostly I err towards being a bit overdressed but then feel awkward. I can’t seem to get casual but still nice right. 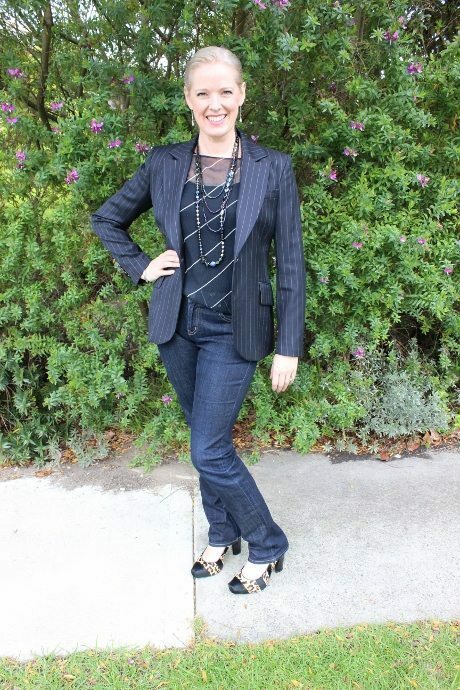 Andrea – the smart casual is often the hardest to achieve. I think this is why I love knit dresses. Comfortable but still look a bit dressy. A casual jacket in a comfortable fabric can also help you dress up your look in a simple manner. Curvy is harder to dress than the Ines body! No doubt about it! I’ve always been a pants person but have been thinking I’ll give dresses another go. Off to draft a pattern tomorrow! I love this article. As I’m getting older, I’m definitely going more classic, but with a twist. One thing I won’t give up is my backpack though. Costs me too much in Physio bills otherwise. I did invest in a Marc by Marc Jacobs Classic Q bag in a gorgeous neutral olive-grey-brown named Dirty Martini though, which barely resembles a backpack but is tremendously comfy. I’ve cut down to the bare minimum but I do need to take my iPad with me, and frequently my camera. I won’t give up my backpack. Can’t afford the pain or the Physio bills from using a standard tote! I did, however, invest in a special backpack – Marc by Marc Jacobs Classic Q backpack in the most gorgeous olive-grey-brown neutral called Dirty Martini. One other thing is that I now know my body, know what suits it and am loving wearing colours and patterns and textures like I never did in my 20s in the grungy 90s and dull early 00s. I love this post and it brings me to a question. I have some work style pinstripe pants that I have been thinking of cutting into winter shorts to wear with tights and a blazer. But I hesitate because I am not sure it would be suitable for a petite 60 yr old. would this kind of short be more of a 20 yr old style? or can a 60 yr old pull it off if the shorts are just above the knee? Donna – shorts are harder to pull off over 50 – and as a petite it may make you look a little ‘try hard’ and ‘muttonish’. Very helpful article! I have been working to retool my wardrobe towards a Parisian model for the past 6 months with some success. It’ s nice to have fewer clothes that fit well and look good for any occasion. I found a tailor who has been very helpful and I have developed a new set of ground rules for shopping. I always have a list of what I need to buy next, preferably on sale, and no more impulse buying! I’m wearing my better jewelry more frequently to elevate everyday looks and paying more attention to shoes and accessories. It’s a process to change over a wardrobe. It doesn’t happen overnight but I feel great about using this approach and have received a lot of compliments. At 60, I finally decided the French capsule wardrobe is the way to go. All seasons, my clothing is black, white, grey, khaki, denim (of course) and a shot of red. I show my personality w/ leopard print shoes, statement necklaces or scarves. Although my closet is now only 1/3 full & I had to install better lighting since almost all my clothes are black, I can get dressed in 5 minutes for any occasion. Love your post!! Love the French style & simplicity of it. However I live in Texas, and it’s so hot here most of the time. (I’m on the coast) I love blazers, but wearing a blazer when it’s 80 & over 6-9 months of the year isn’t practical. Any suggestions? It’s hard when it’s hot to add that third piece or element of structure – think quality, and detail built into the garment (rather than adding lots of stuff to your outfit). read this post on 3rd piece when it’s hot https://insideoutstyleblog.com/2012/06/third-piece-waistcoat.html to give you a few more ideas. I, too, love the simplicity and elegance of French style. I am 67 and am trying to downsize my whole life, including my wardrobe. I am keen to create a “French capsule wardrobe” but am a warm autumn with a relaxed feminine style personality. Would love some ideas (pictures) of how to blend all these elements to create something cohesive. Everyone is so different in what they love – but any sort of capsule ideas will help you to find the kinds of garments you would want to think about. I also have a bunch of posts on wardrobe capsules in warm colours you can check out! https://insideoutstyleblog.com/2016/09/putting-together-a-wardrobe-capsule-when-you-dont-wear-black-as-a-neutral.html or https://insideoutstyleblog.com/2013/08/creating-a-capsule-wardrobe-to-look-taller.html and https://insideoutstyleblog.com/2012/12/summer-wardrobe-capsule-in-warm-colours.html – I hope these help you think about what you need, for your unique lifestyle, for your body and for your personal style! I lived in Brest, Brittany for 2 years, and what you wrote is true for the boonies, too. You didn’t mention hair and makeup. Both are more low-key than we do in USA. They look put together, but not like they made much effort. In fact, looking like you did not make much effort (even if you actually did) seems to be another key point. Hence a fabulous outfit with slightly messy hair or some such thing. And then there is confidence. Somehow all the French women exude a casual confidence in their bodies/looks, as if they never doubted that they are each beautiful in their own unique way.